Parties are always an occasion for laughter and joy, and usually some drinks involved, too. As well as music. However carried away you get with the occasion, it can sometimes be very stressful as there’s always a lot of party planning to do. From setting a budget, to getting the invitations out, to deciding on the theme and booking the band, setting up a bar and deciding on the caterers, it can be very exhausting. This is our job and we love what we do as much as we all love a good party! 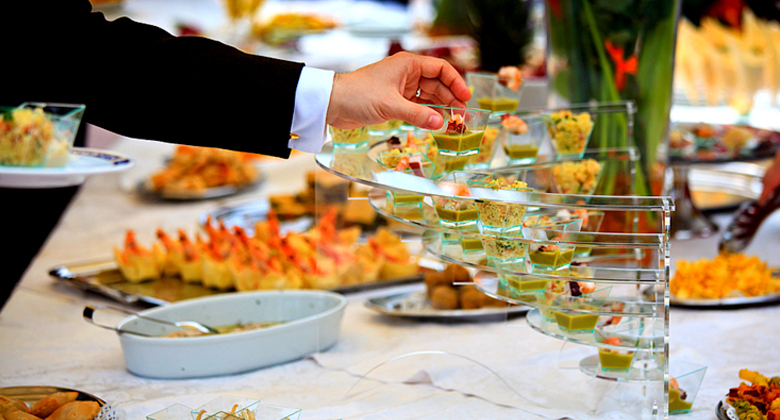 Come to Collins Catering we work across Essex, Hertfordshire and London providing catering services to the rich and famous, families we’ve known for years, and new clients who become good friends, where we are recommended to them. This is testament to the trust our clients place in us. With 25 years’ in the business, we are always excited and happy when someone calls us to say they want a party. We appreciate it’s a big decision and we want you to get it right. So, call us for a chat about what we can do for you and what it will cost, we are always happy to pass on our expertise and advice. It’s what our reputation has been based on all these years and we look forward to helping to plan and serve customers around Essex, Hertfordshire and London for another 25 years.